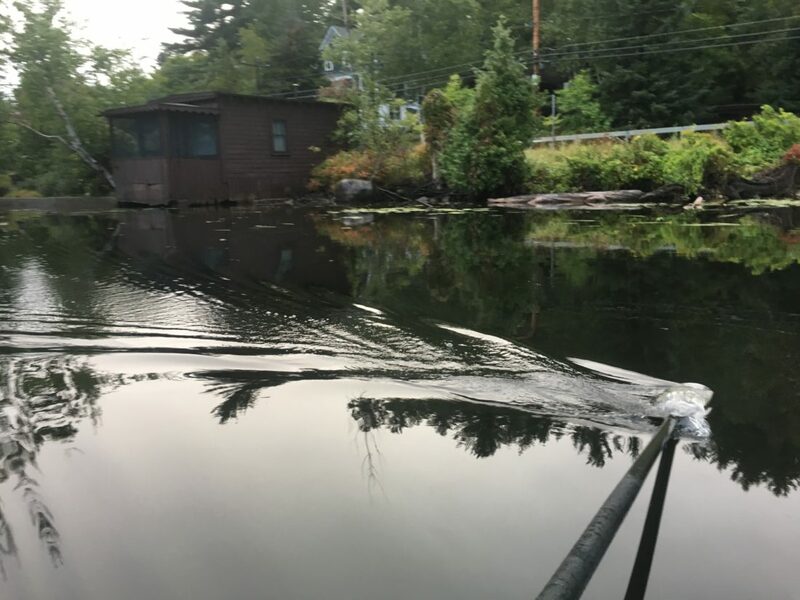 SARANAC LAKE — Work on the Pontiac Bay cleanup project has been halted as sediment used as backfill at the site has showed up elsewhere in Lake Flower, though the state Department of Environmental Conservation says it will not impact the lake’s ecosystem. “All contaminated dredge material was previously removed and properly disposed off-site,” DEC spokesperson Dave Winchell stated in an email. 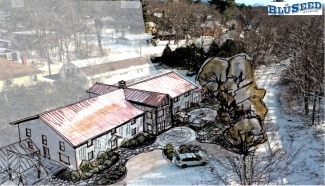 Nevertheless, Winchell said that until the contractor working on the site addresses the problem, operations will cease. 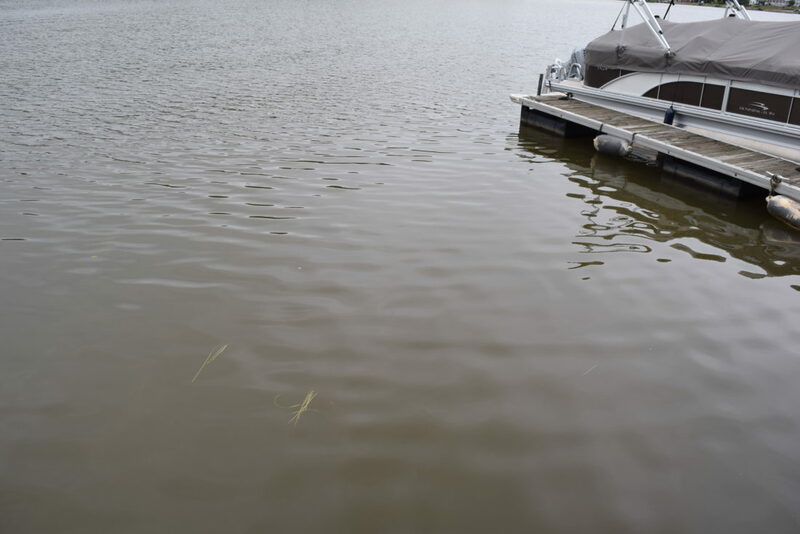 Billy Martin, who lives on Lake Flower and rows on it most mornings, said he first noticed the discolored water last Friday outside the dredging site. “As far as I know, the plan was not to affect the rest of the water,” Martin said. According to the DEC, measures are now being taken to ensure the turbidity curtain that surrounds the work site functions properly. The department continues to test the water outside the barrier. “The levels observed will not impact the ecological environment within Lake Flower,” Winchell said. Work will resume on the dredging site once turbidity levels can be maintained and adequate controls are in place. “I hope it doesn’t put them too far behind schedule,” Joe Stanish, who owns Amanda’s Village Motel across the street from Pontiac Bay, said of the work stoppage. 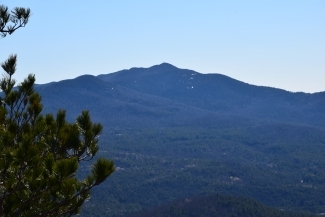 Dan Kelting, head of the Adirondack Watershed Institute and a Paul Smith’s College professor, raised possible concerns about the nature of the sediment spreading downstream. “The question is, why are we getting sediment moving outside the curtain?” Kelting said. One primary concern would be if there are nutrients bound to the sediment, he said. An example he gave was phosphorous, which could promote the growth of algae blooms — the issue being whether these free-flowing particulates could alter the composition of the lake. “Concerns would be inadvertently adding nutrients to the lake while also adding fine particles like silt and clay, which can affect water clarity,” Kelting said. Kelting questioned where the DEC’s contractors sourced their sediment, through what process they cleaned it and how it was applied to the lake bed. According to the DEC, the sediment used in the backfill was sourced from Trudeau Sand and Gravel in Saranac Lake, sampled and run through chemical analysis to determine that it is clean. The sediment was then applied to the lake bed using a clamshell bucket, lowered into the water column and released to minimize disturbance. 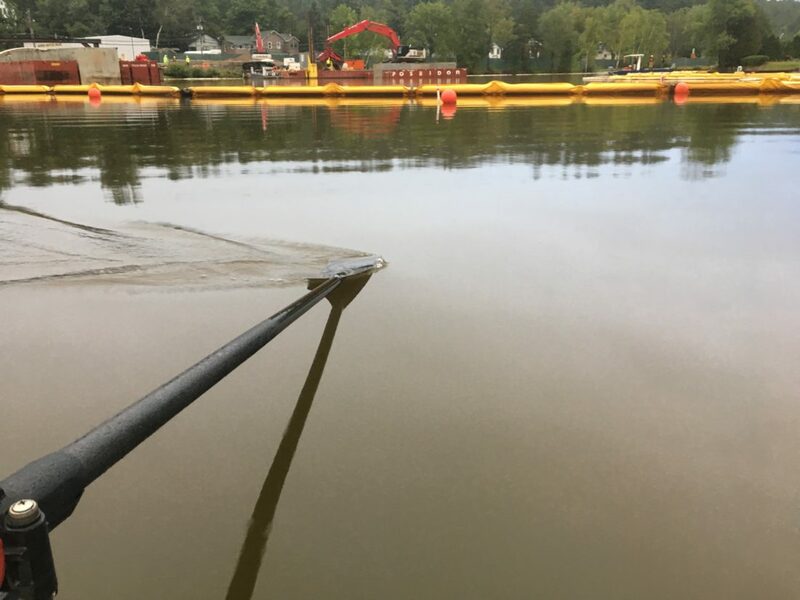 The Lake Flower dredging project to remove coal-tar-contaminated sediment in Pontiac Bay began in earnest in the spring. In order to remove an estimated 16,900 cubic yards of sediment, the bay has been closed off during the interim. The contaminated sediment was the result of processing coal into gas for use in heating and lighting Saranac Lake homes in the early 20th century. The remnants of this process migrated into the lake and settled into the lake bed. A 2013-14 DEC investigation found contamination in the sediments at Pontiac Bay, Brandy Brook and in the groundwater and soil at the former Saranac Lake Gas Company plant on Payeville Road. The DEC’s multimillion-dollar cleanup is now ending at Pontiac Bay and moving to the former gas plant.